Metal Gear Survive is out now on consoles, joining the illustrious likes of Portable Ops, Ghost Babel, and Snake’s Revenge in the pantheon of non-Hideo Kojima directed Metal Gear games. The PC version unlocks in just over a day, but thanks to our intrepid console brethren, we know what to expect from the game’s microtransactions. Check out the best survival games on PC. Given that Metal Gear Survive has been out for a matter of hours on console, we don’t know how exactly those coins will factor into late game balance. 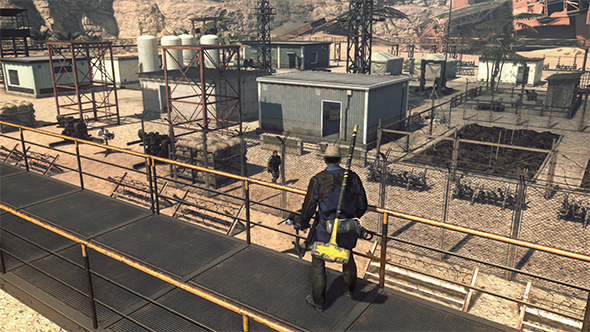 If they’re as much like MGS5’s purchases as they appear at first glance, they won’t be much of a consideration at all. Metal Gear Survive launches on PC in just about 30 hours for a slightly-less-than-premium price of $39.99 / £34.99 / €39.99. Konami have provided a fancy new launch trailer that you can see above. If you’re wondering whether your PC can run it, check out the system requirements.